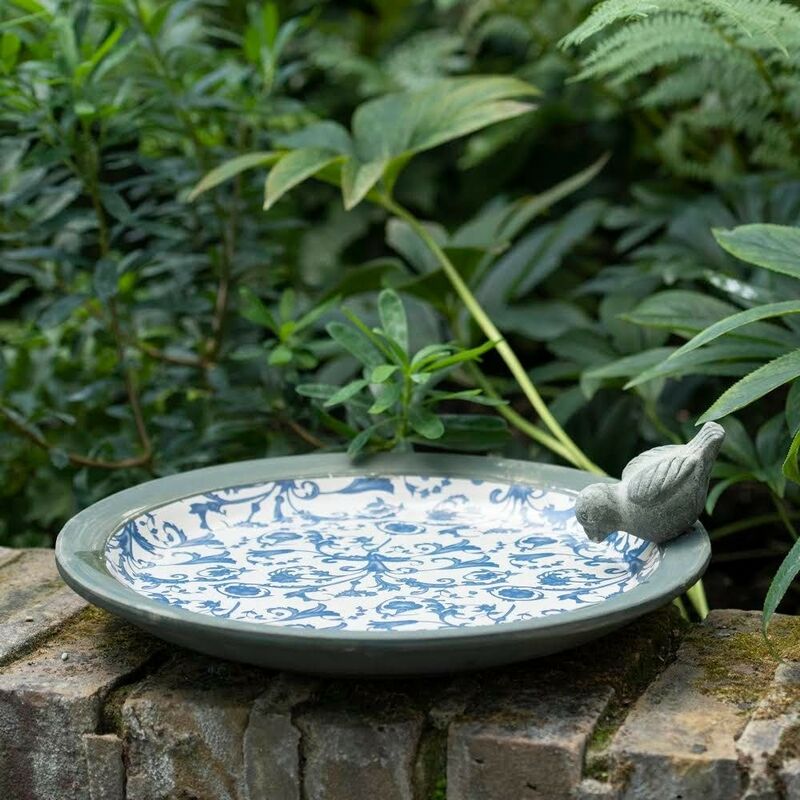 Add a touch of quirky Victoriana to the garden with this glazed ceramic bird bath. 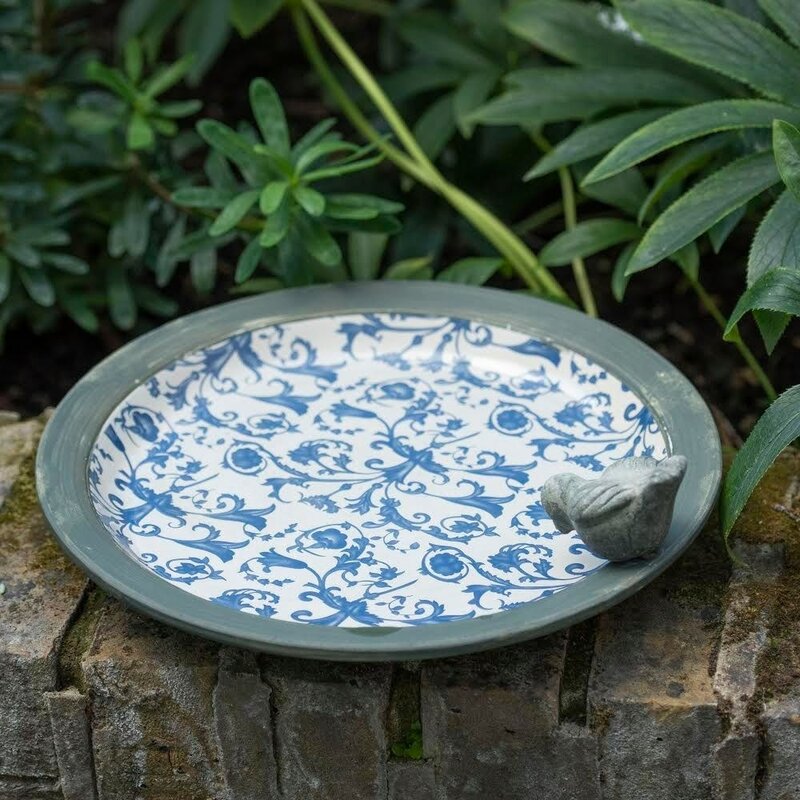 Featuring a traditional blue and white vine design, the bowl has a ceramic bird perched on the rim to encourage feathered friends to follow suit. Designed to be stood directly on the ground or placed on a wall. Please note: the bird figurines have been carefully aged to add to this item’s vintage appeal, and some may look more distressed than others.